The business section of Sunday’s New York Times has a rather breathless feature story [registration may be required] about an incredible new phenomenon that is sweeping the mobile phones of Japan – two-dimensional barcodes known as QR Codes. That’s all very well (and the piece is nicely written) but not only are QR Codes far from new, but they’re also nothing like as popular as the NYT suggests. Most any phone with a camera now also includes software for recognizing and interpreting the codes but they’re not half as well loved as marketeers would have us believe, with the traditional way of connecting to a URL printed in a magazine or on an advert often far simpler. The problem with the technology, which was first developed in 1994, becoming common in the last three years, is not the codes themselves – rather, it’s the phones. Even the newest handsets still take several seconds to process the images before connecting to the associated website. What’s easier – typing http://www.xyz.com or starting a phone’s camera software, getting it to focus on a QR Code and then waiting for it to be deciphered before clicking the ‘connect’ button? Unless a URL is clumsily long, it has always the former to date. Although the codes are indeed a common sight these days – just not on some highway billboards, as the story suggests – they’re far from the finished article. 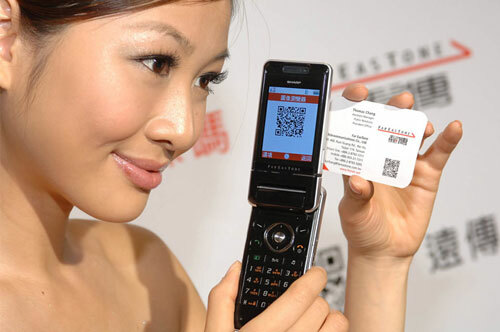 The fact that using QR Codes is not a simple matter of just ‘waving’ a phone at one means that their potential will remain untapped, probably until a genuinely barrier-free technology like RFID usurps them.